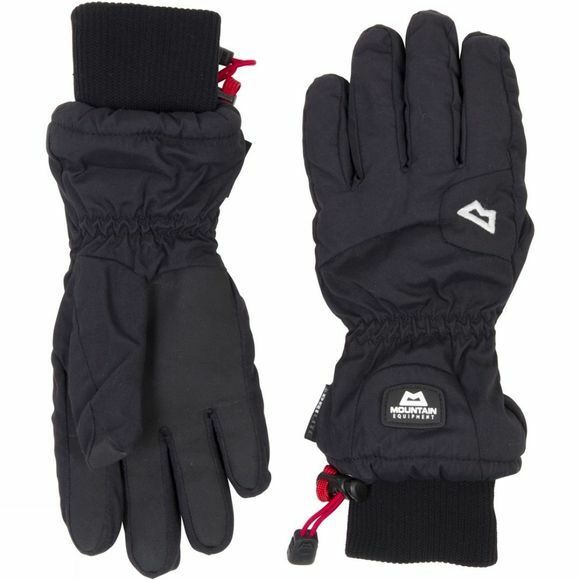 The Women's Mountain Glove from Mountain Equipment is a terrific all round winter mountaineering glove that also performs superbly on summer alpine routes. With a winning combination of DriLite shell for waterproof protection and a fleece lining for warmth and comfort this glove offers value for money service, all year round. The palm is reinforced for extra durability and grip when you need it while the inner comfort cuff blocks out drafts and ensures a secure fit around the wrist, the drawcord at the end of the gauntlet allows you to secure the fit over other layers too.